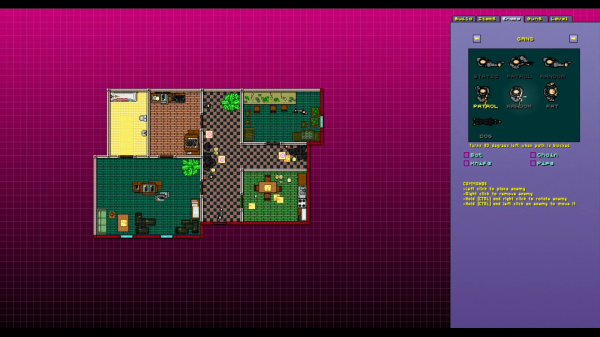 The twistedly lovable fans of Hotline Miami who enjoy brutally smashing in the skulls of strangers will be pleased to know that developer Dennaton Games has unveiled a level editor for Hotline Miami 2: Wrong Number. 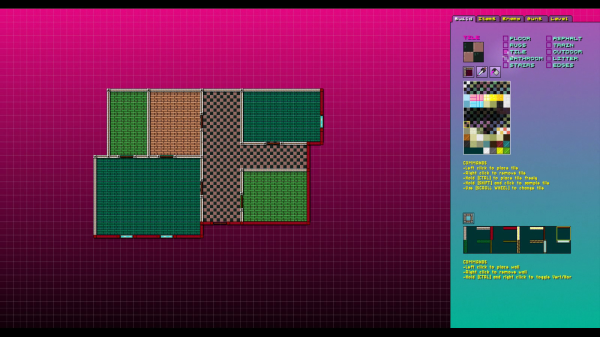 With the new level editor, fans will be able to meticulously design their own soul-crushing levels to die over and over again in and share with other cold-blooded strangers on the Internet. Fans with a talent for designing potential murder scenes will be able to create a floor plan and place items within including furnishings, fashionable décor, weapons, and unforgiving enemies armed with whatever instrument of death you choose. Playable at E3 2014 by appointment only, Hotline Miami 2: Wrong Number will launch later this year on PC, PlayStation 4®, PlayStation 3® and PlayStation Vita™. Hotline Miami 2: Wrong Number is more of the blistering combat and unmistakable visual style millions of fans around the world have grown to love – all wrapped in a powerfully intense soundtrack that will once again push you to the limit, questioning your own thirst for blood.